What does the biblical narrative—creation, fall, redemption, restoration—have to do with how we engage culture? 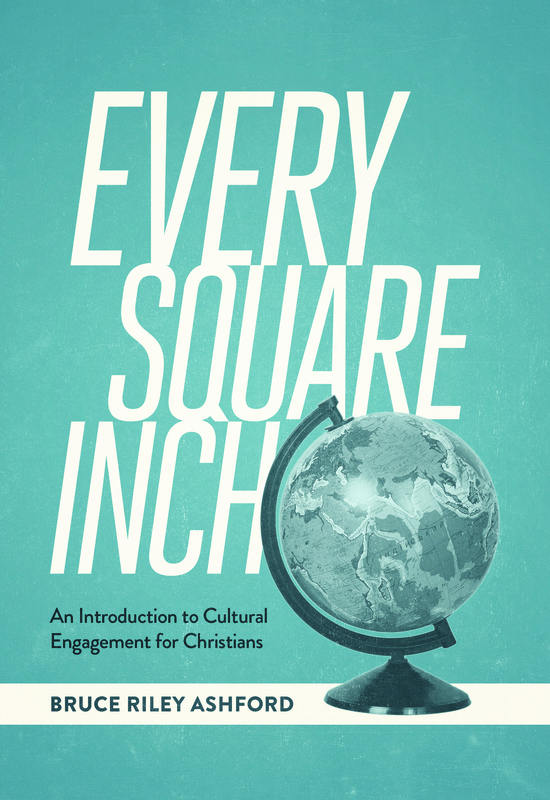 Bruce Ashford, provost and dean of faculty as well as professor of theology and culture at Southeastern Baptist Theological Seminary, aims to tackle this question in his book Every Square Inch: An Introduction to Cultural Engagement for Christians. I corresponded with Ashford about his reasons for writing such a small book to answer such a big question and about why he doesn’t always get to the death, resurrection, and glory of Jesus. What inspired you to write a book on cultural engagement? I wrote the book to help Christians wrestling with some of the same questions that have nagged at me for many years. Although I grew up in a home where my parents taught me the gospel and fostered in me a love for Christ and his Word, I didn’t really have an idea of how to relate Christianity to other dimensions of culture, like art or science, that are not “religious” in an obvious way. I think one reason I was ill-equipped was that I had a truncated view of Christianity. My understanding of Christianity had almost entirely to do with fall and redemption, and little to do with creation and new creation. One problem with this truncated view is that fall and redemption don’t make sense apart from creation and new creation. Another is that the concept of “culture” doesn’t make sense apart from creation and new creation. Who do you imagine will benefit the most from it? I hope everyday Christians (and the pastors who shepherd those Christians) will benefit. In particular, I hope the book will appeal to the many Christians who have a firm grasp of the gospel but perhaps not as firm of an understanding of the biblical narrative and how it should shape our culture-making and cultural engagement. Is this why you decided to make it a “short introduction”? Yes. I hope busy people will be willing to read this little stocking-stuffer, and perhaps be motivated to pursue these questions more deeply and broadly through additional resources. Chapter 4 (“Six Case Studies on Culture”) features a fairly narrow spectrum of vocations, mainly public intellectuals. If you could add others to the list, who might they be? Yes, if I expanded this chapter beyond public intellectuals, I might include Makoto Fujimura (art), Joe Forrester (science/technology), and David Green (business). In several of your chapters that focus on particular spheres, you focus mainly on the doctrine of creation and/or the doctrine of the kingdom, but fail to highlight the death, resurrection, and glory of Jesus. For me, the most obvious example is chapter 6 (“The Sciences”), where the emphasis is on the fundamental compatibility of the “book of Scripture” and the “book of nature.” I agree with everything you write, but I feel your argument is missing something since it doesn’t mention the supernatural. How do you reconcile the supernatural aspects of Christianity, which are the foundation of our faith (the incarnation and the resurrection), with the compatibility of science and faith? In the five chapters that deal with spheres of culture, I select one limited aspect of the particular sphere and then show how Christians can shape their cultural activities in that sphere in light of God’s norming word. In chapter 6, I focus on issues of scientific and theological method. I lean in on the doctrines of creation and revelation in order to argue that science and Christianity shouldn’t be pitted against one another. God created the world and ordered it by means of his word, just as he inscripturated his word in the Bible. In other words, God is the inerrant author of creation and of Scripture. Both of those actions (creation of the world and special revelation of Scripture) are supernatural, both are foundational to the faith, and both are central to understanding the interface of theology and science. On these methodological issues, I think creation and revelation are exactly the doctrines to lean on. Now, Christology and soteriology do relate to the sciences in more than a few ways, including the fact that Christ’s redemption will one day regain or renew creation, rather than destroying or denigrating it (and that is the point of the second chapter). No book can answer all questions, so I like to think of books in pairings (example). What book would you pair with Every Square Inch? When I teach introductory courses on the Christian life at The Summit Church, I pair the material from Every Square Inch with J. D. Greear’s Gospel: Recovering the Power that Made Christianity Revolutionary. His book shows how the gospel changes our hearts, and my book shows how a regenerate person can shape all of his activities in light of his Christian faith.